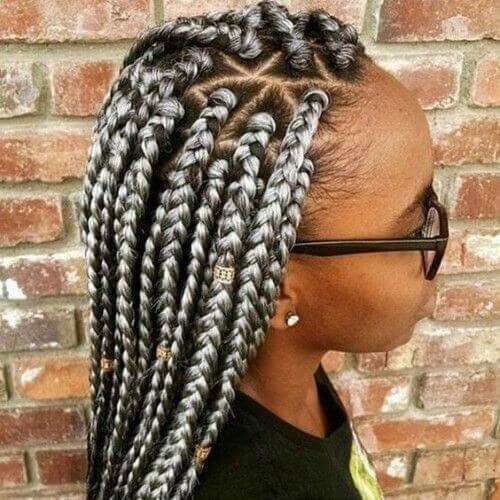 While the African American black women love hair extensions and styling in a modern way and make all kinds of tryouts with them, box braids for lil girls can’t be discounted. 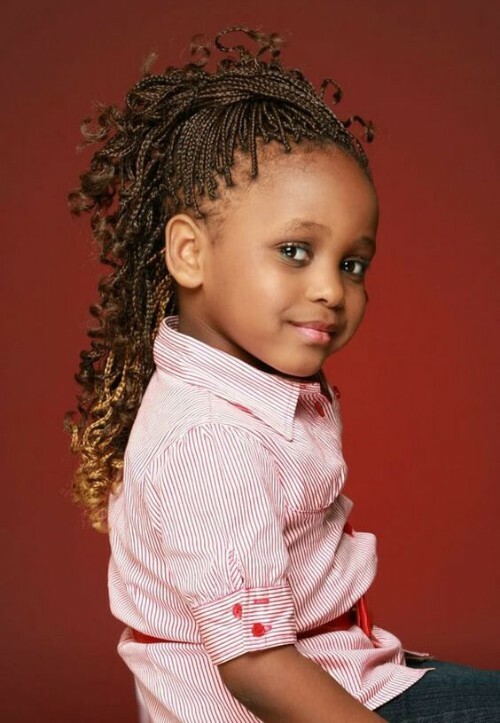 Little girls look is very remarkable and delightfully stylish with the box braids if they are used properly. It may be a little bit hard to deal with fine little girl’s hair, but an expert hairstylist can deal with it efficiently and perfectly. 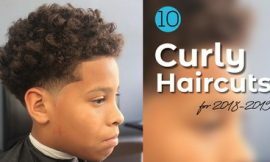 Don’t be anxious to make a few trials with your child’s hair. 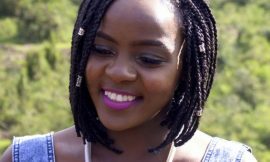 In fact, box braid defends the locks while making them grow healthier and stay fit longer. So, what are we going to do now? 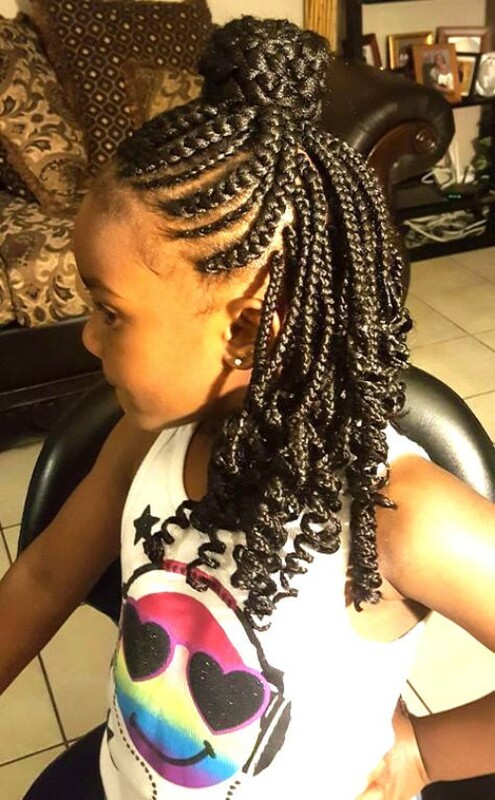 Well, we are here to help you select the right and angelic box braiding hairstyle for your adorable little girls. 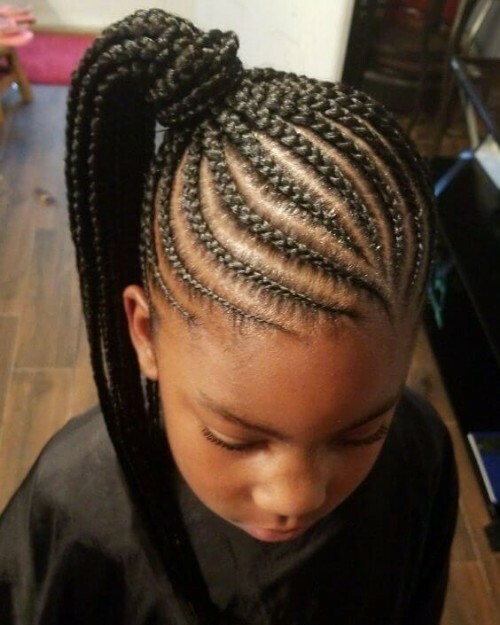 In this discussion, we will let you explore 25 box braiding hairstyles of the African American little girls and choose the best one from them. 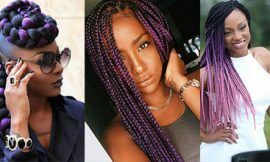 Twisted Box Braids are designed in such a way that the parts of the braids have twisted each other like a rope. 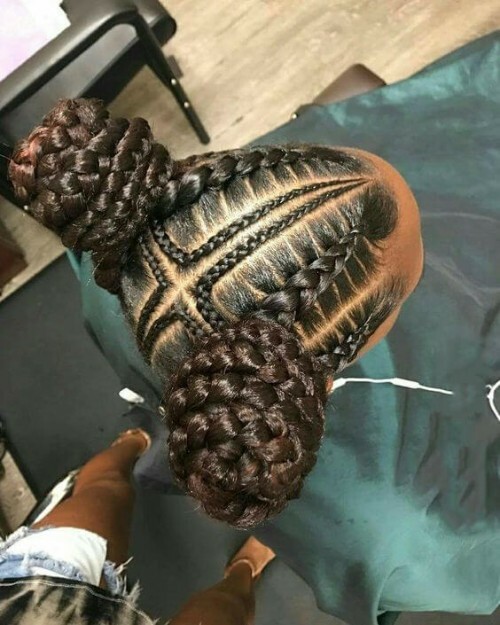 Most of the cases, these braids are used by black women and adults, but the kids should not be deprived of this beautiful design. The twisted braids can be colored blonde or red, can be beaded and the design can be changed according to your wish. The pictures below will clear the rest of the confusions out. Cornrows and Box Braids are the two sides of the same coin. 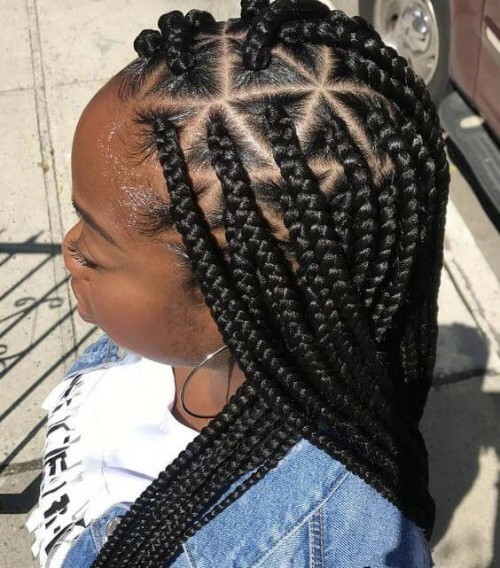 Today maximum of the African American Hairstyles is made with the combinations of cornrows and the box braids. 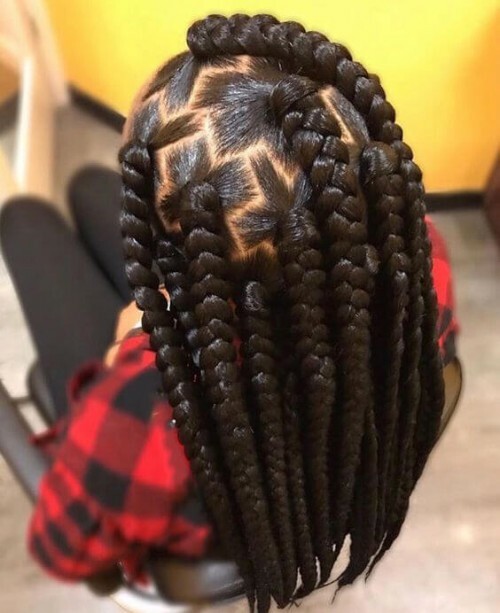 In this process, the box braids are placed and positioned according to the cornrows pattern. Now, look at the pictures below. These little girls have worn the cornrows inspired box braids and they are no less than a real princess. Topknot hairstyles are much more popular among the African American people during the summer seasons. Like the adults, the little girls can also avail this opportunity of staying cool and fresh. The topknot hairstyle can be with only one knot or with some free braids by the back side. 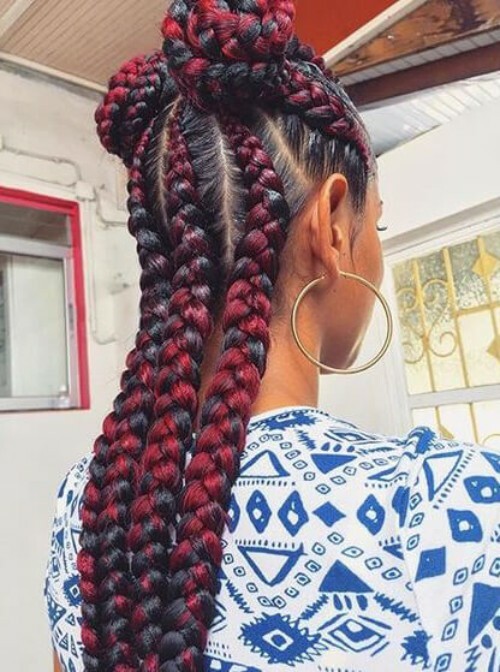 The braids can be thick or thin and the color also can be different. 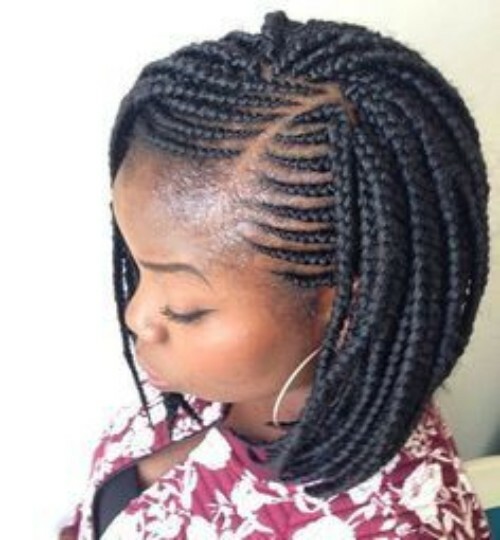 Moreover, you can use some lovely beads with these box braids. 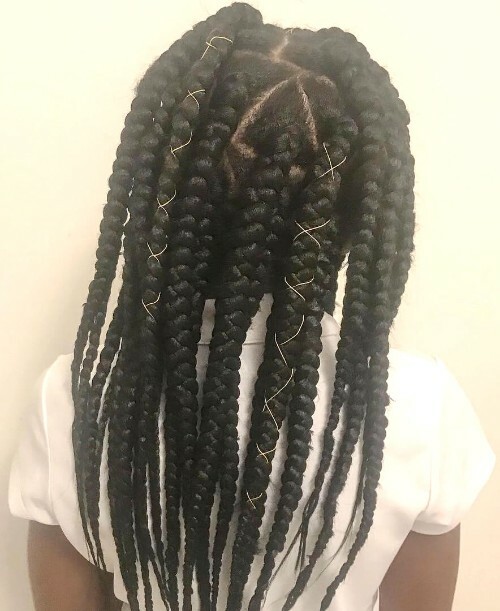 Okay, so your little girl finally got beautiful box braids, but after wearing them down for 7 days straight, you might find her desperate to try a new hairstyle. 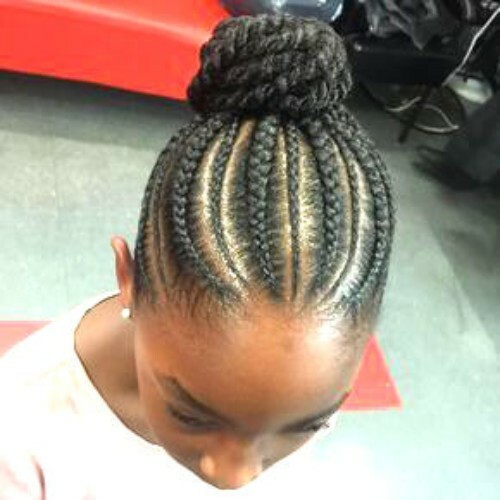 Now, what about a beautiful ponytail hairstyle with the existing box braids? It will give her a sharp look, adorable effect and angelic appearance for sure. 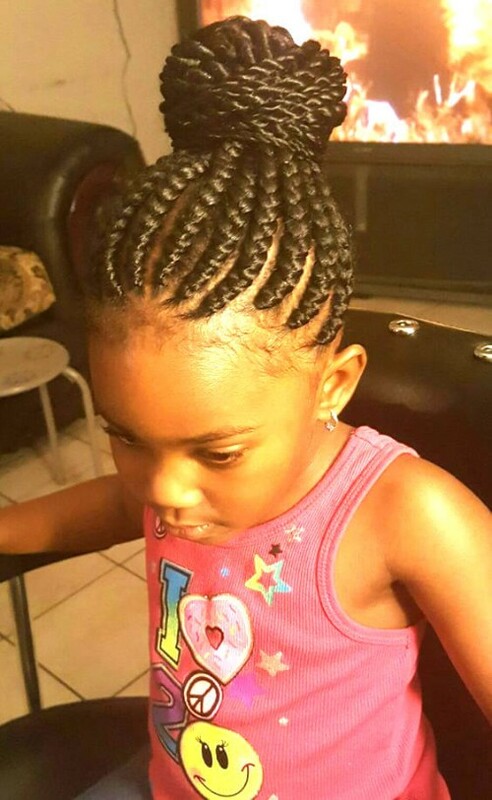 If it is the summer season, the little kids will like it much more than any other protective hairstyles. Moreover, your girl will be more confident and smarter with this wonderful box braided ponytails. We have previously discussed the topknot hairstyles in this discussion. 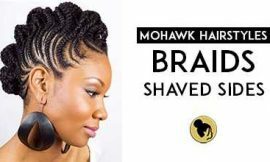 Here, we have come with the topknot hairstyle with the box braids with a little modification. 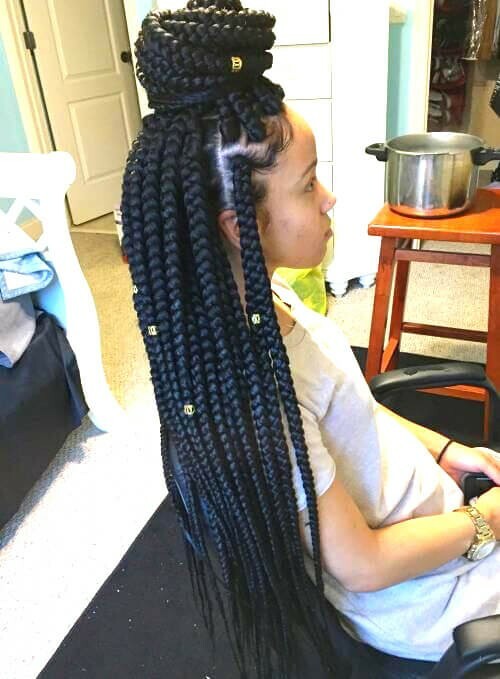 If there are some curly extensions at the edges of the box braids, the effect will be breathtaking. Next, the blonde box braids. 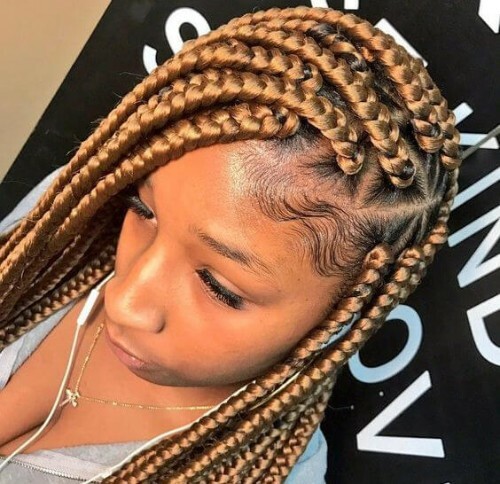 This braiding hairstyle consists of the textured and blond box braids. The color here may be light or dense. 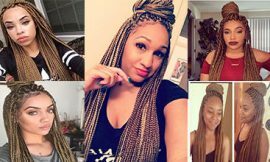 But as per a lot of surveys, the blonde box braids are one of the most used hairstyles by the African American women and little girls. These hairstyles give the dazzling effect and make her the queen of the beauty world. 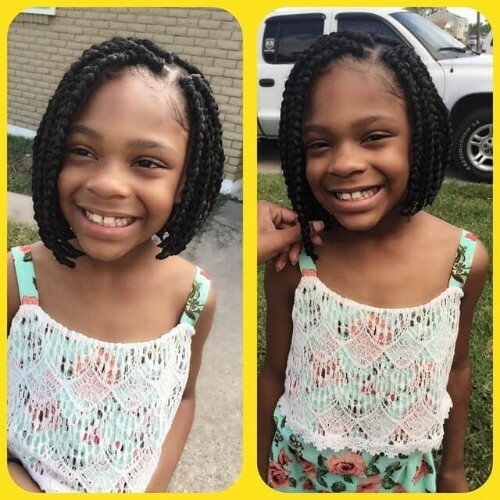 Pixie Braids are one of the most wonderful addition to the hairstyles industry for the African American little girls. 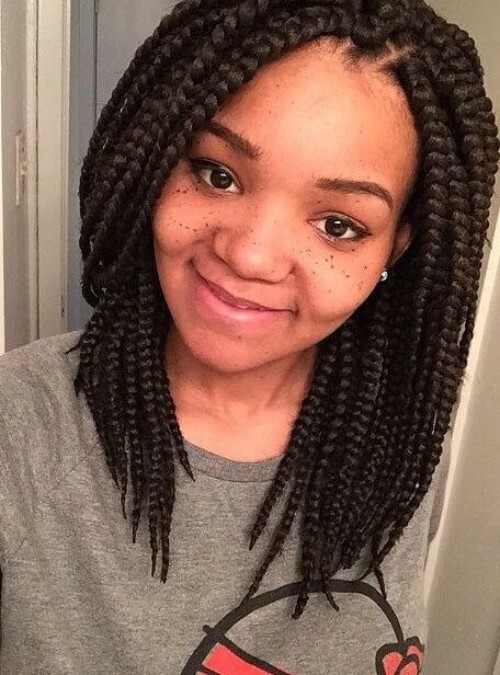 These box braids are blonde and tiny in nature. A little girl wearing this hairstyle looks adorable and spreads the effect of a heavenly angel. Now, look at the following hairstyles carefully. 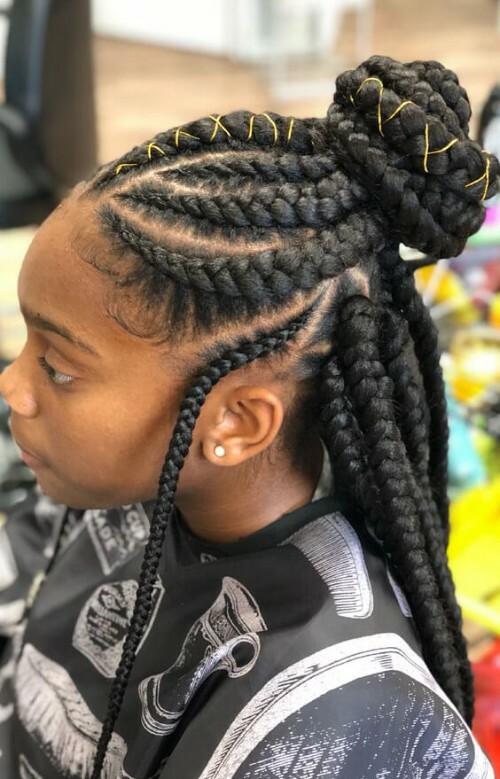 There are some certain elements and characteristics of this hairstyle, The thick box braids, The multiple colors, and the double knots. All these elements have made them super cute and adorable. 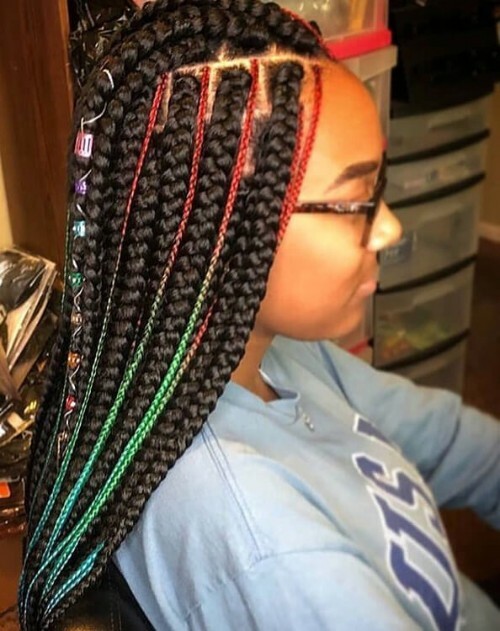 Now it’s your turn to give your kid this awesome box braided and multicolored knotted box braiding hairstyle for the next occasion she is going attend. 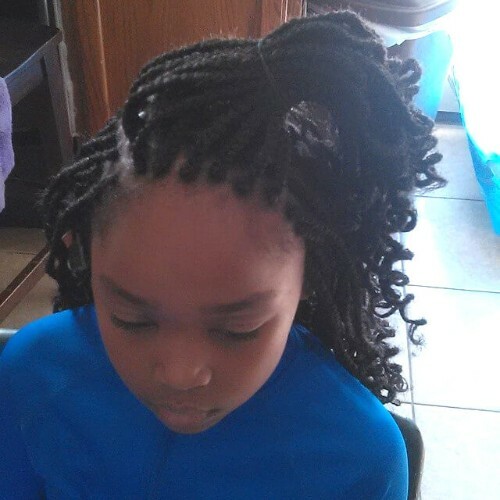 In this category, we have picked a box braiding hairstyle for kids with only one color and no other specifications. The gray color, yes, the gray color can make he happen. Actually, a gray box braided hairstyle can turn an impossible to possible. The bob haircuts are normally for the adults of the African American ethnicity. But when the little girls wear this, they get an adult effect on their appearance with all other beauties. 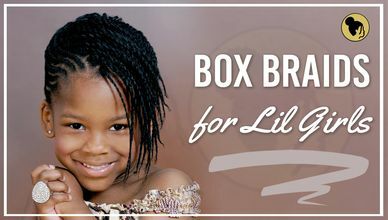 A little girl with the box-shaped box braids looks adorable, cute and center of attraction where she presents. 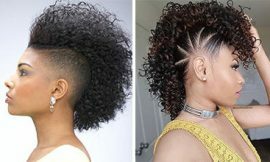 Now take a look at the conventional box braiding hairstyles for the African American people. 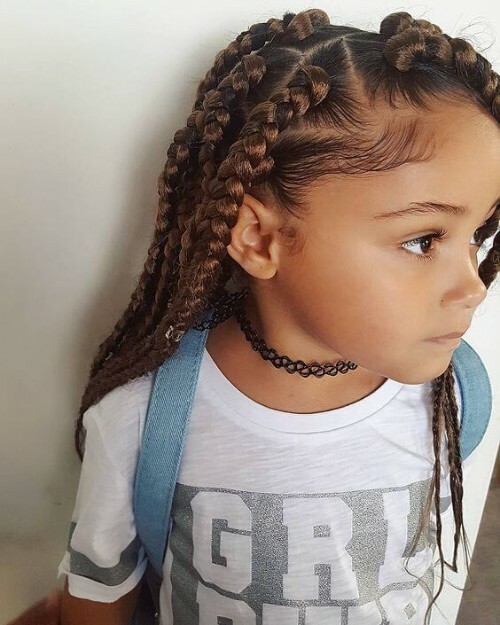 The simple box braids can make a little girl look like a princess. The pictures below prove the above statement. 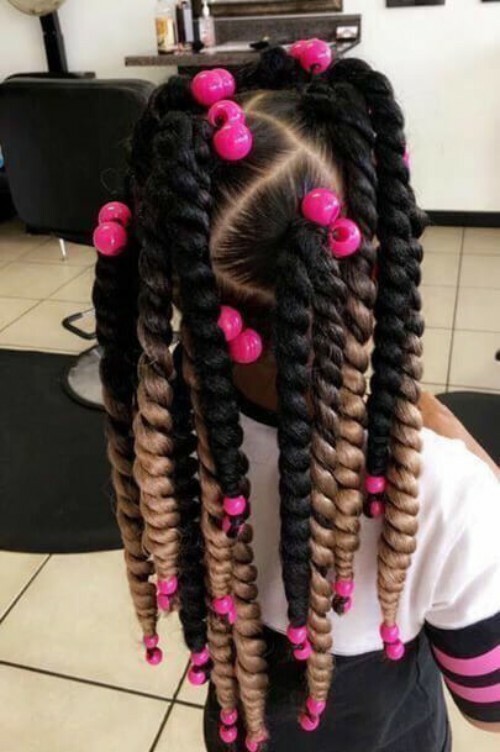 The beads, the thick braids, the tiny and colorful braids, and the overall decorations have brought a great hairstyle sample for the African American black little girls. No word can describe the effects of this hairstyle. And I have really nothing to say or recommend about this one. Here comes the masterpiece. We have saved the best one for the last topic. 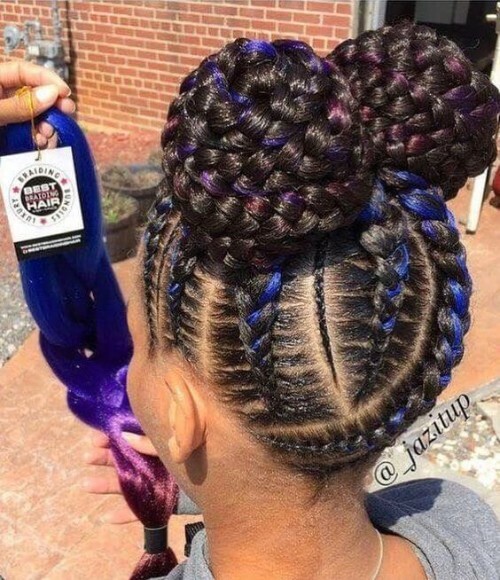 There is no additional effects, beads, colors, but it is still one of the most gorgeous and adorable hairstyles of the whole world. You yourself can judge the beauty, effect, and attraction of this charming hairstyle. Now, it’s your turn to choose the right one for your kid and ask the hairstylist to do it for her. Do not forget to send us your feedback and suggestions in the comment box. We will be waiting to hear from you.